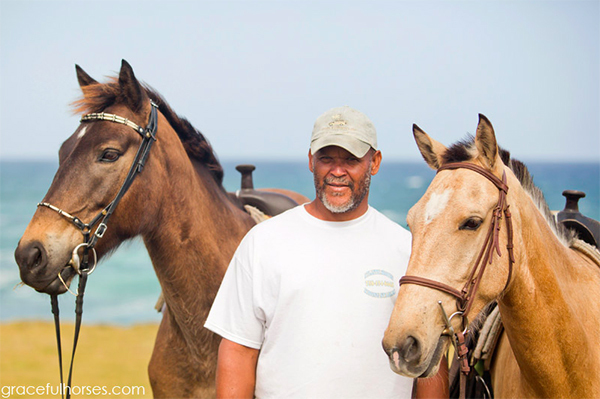 Atlantic Shores Riding Stables Has Been A Popular Stop To Experience Horseback Riding In St. Lucia. 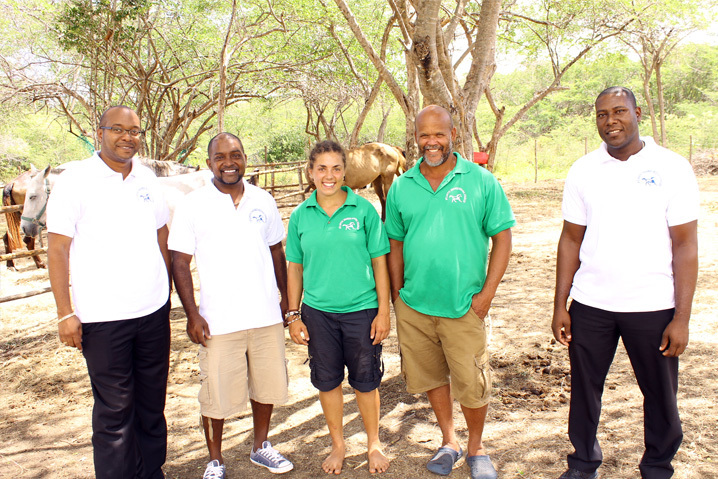 Visitors and tour operators from around the world have recommended Atlantic Shores Riding Stables as a must-do activity in St. Lucia. 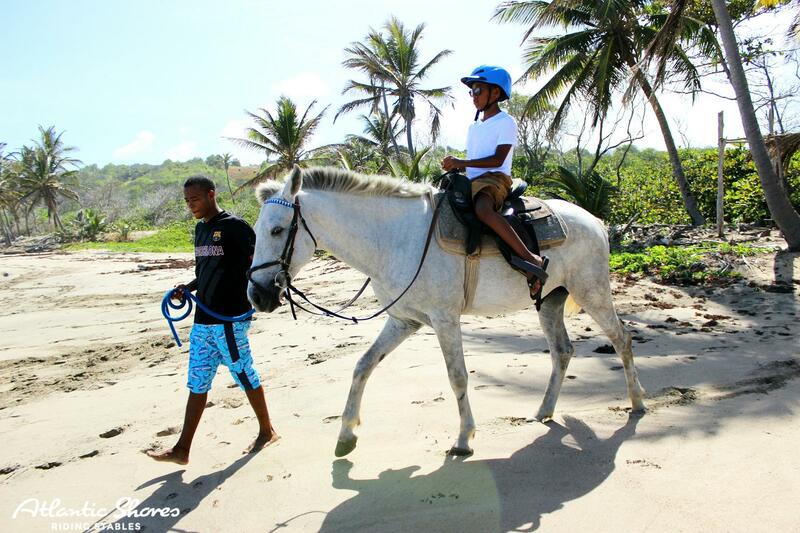 Our tours have become a popular option to experience the magic of horseback riding on a tropical beach. 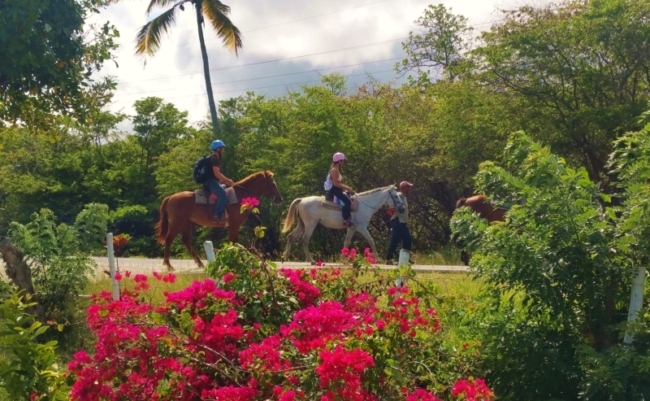 Whether you are coming from a cruise ship or staying at an island resort, our horseback tours will introduce you to some of St. Lucia’s amazing landscapes. This adventure is great for families or couples looking for some private time to enjoy nature. Surrounded by breathtaking ocean views, we offer guided trail rides through the peaceful countryside and along pristine, sandy beaches. 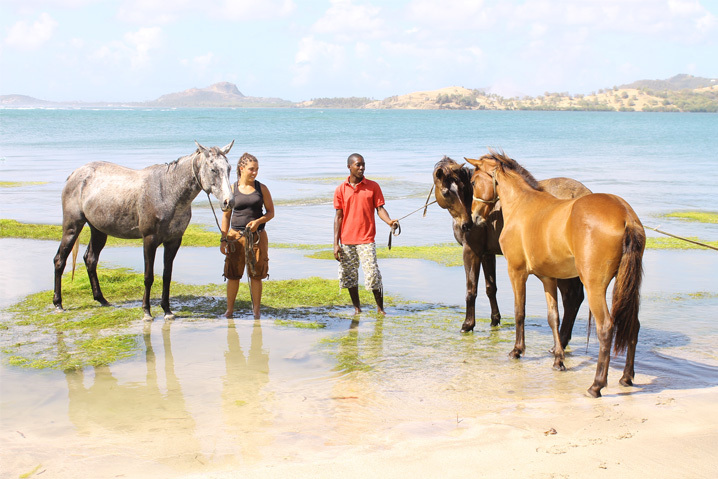 Our friendly staff and gentle, creole horses are waiting to show you and your family a memorable time in Saint Lucia. Our rides will take you through gently rolling hills with velvety soft grasses, dramatic and steep sea cliffs towering over the Atlantic Ocean. This part of the island near Honeymoon Beach hasn’t been touched in centuries, so you can bask in its tranquility and natural beauty. There will be plenty of opportunities for photographs while on horseback as your trail guide introduces you to the history and culture of this area. Our tours are designed to focus on smaller groups, so rest assured you will not be left on your own as you ride with Atlantic Shores Riding Stables. 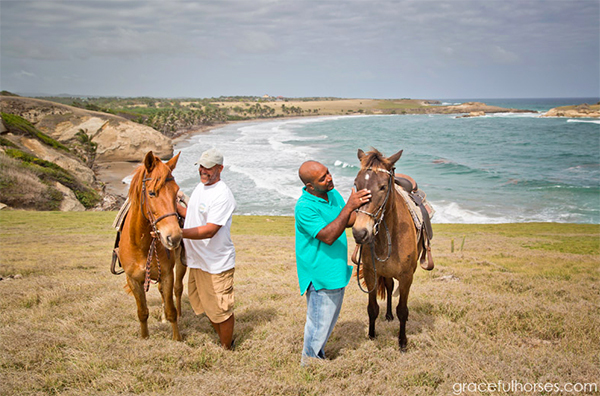 If the weather is right, you may spend some time splashing in the warm Caribbean waves with your horse. Let us enhance your vacation in the Caribbean and take you riding along some of the most enchanting trails in St.Lucia. Whether you’re a beginner or an experienced rider, you will have a wonderful time here with our friendly guides and our horses. 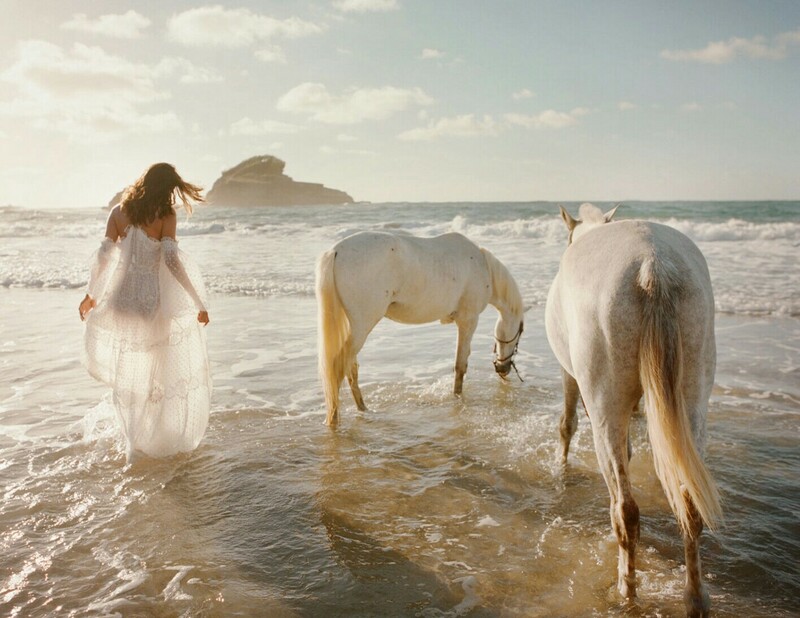 You can take with you an abundance of wonderful memories of you riding your horse along our beaches. This is the perfect opportunity to get away from the lounge chair and comforts of your resort to enjoy an amazing adventure. 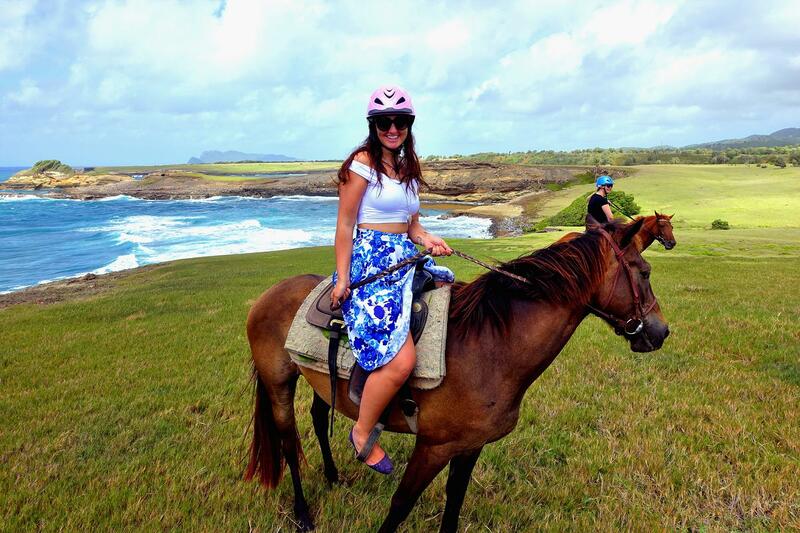 Saddle up for an enjoyable horseback ride in St.Lucia.